EASTER DEAL - Usually 15.97, today just 10.97 - Save £5! 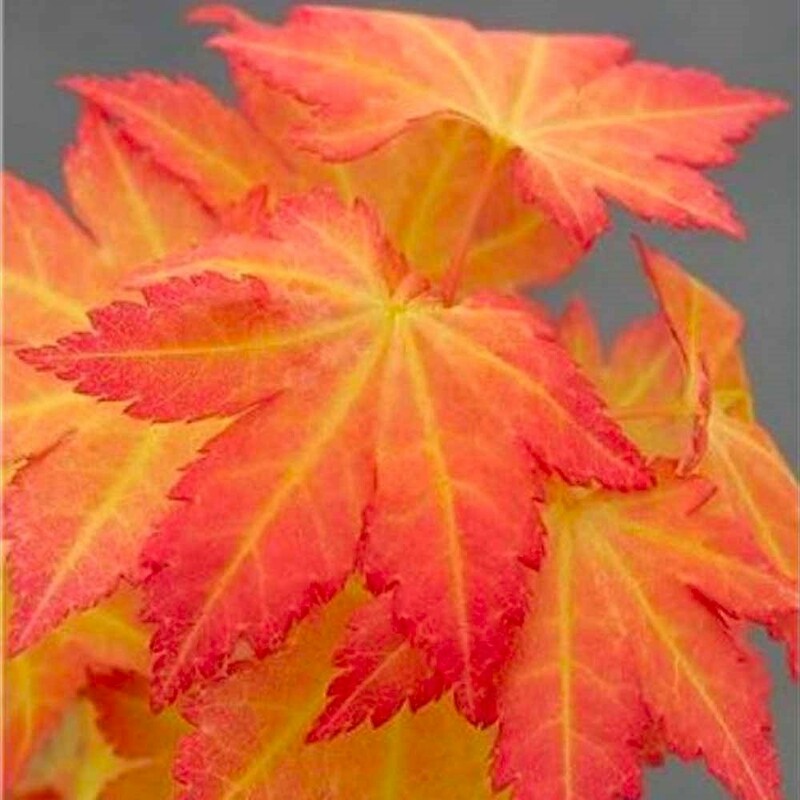 A relatively new cultivar of Japanese Maple developed in Italy, with golden-yellow to orange new growth that takes on light green tones in summer. 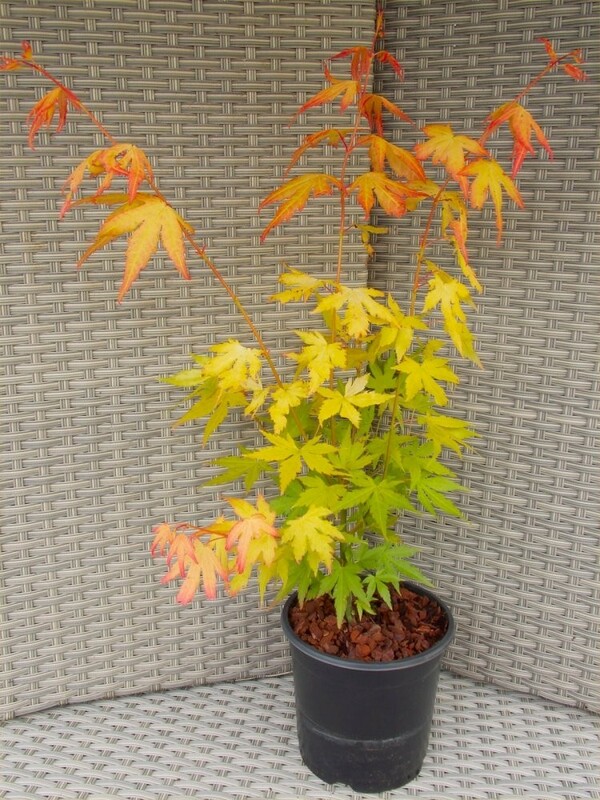 In Autumn we find this Acer turning brilliant golden, red and orange. This Orange Dream Japanese Maple will form a densely-branched small tree with bright-green bark and a narrow upright habit. 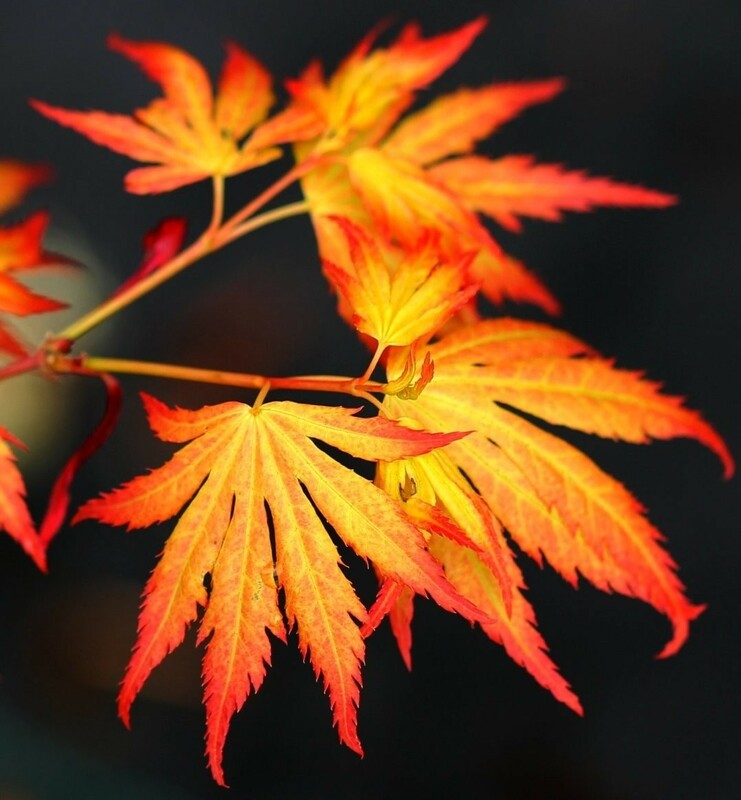 The foliage colour of Acer palmatum Orange Dream is best in partial shade, although full sun can be tolerated. It is ideal for creating a Japanese theme anywhere in your garden. Great in pots or containers, or planted in the ground mixed with other shrubs and Acers. Remember, the bark of Orange Dream can also offer a nice winter glow, so it offers more than just foliage value in the garden. Absolutely outstanding for autumnal colour. These plants give a wonderful effect in the garden what ever the season. Supplied as pictured in approx 2 litre containers.